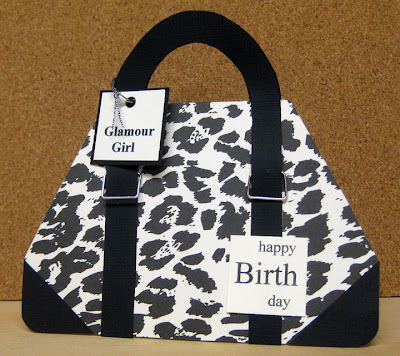 Brenda had a great handbag card for us to make as our second project. We started with a print paper cut to 6"x8". Fold in half with the fold at the top. Cut 2 handles of black CS from the template provided. Add the hardware to the straps as shown and attached to the bag. Cut bottom corners front and back of bag with corner rounder punch. Punch 3 squares 1 3/8 " from Black CS. Cut 2 of the squares in half diagonally and then round the corners of the 4 triangles to fit on corners of the handbag. Attach. Trim sides of bag as shown. 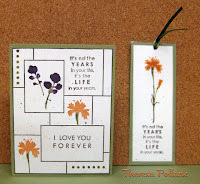 Finish with squares for the sentiments. See picture for final details. Now we have the cutest Handbag. 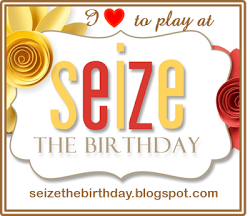 Thanks to Brenda for her design and templates. 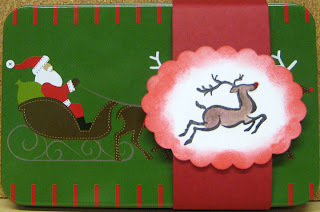 Karen did a great job with the colors aand directions on how to assemble this card. Flowers and the ribbon were great finishing touches. Our hat is off to Karen! My great-niece, Kate, will be 7 years old Sunday, Oct 4. For her birthday card, I was inspired by a digital image of a little girl holding a dog because the girl in the image resembles Kate and she loves her dog, Alvin. I paper pieced and colored the image. I used markers and pencils with OMS. I used Versamark and clear EP and heat embossed the eyes and nose of the dog and the handles and buckle on the purse. I added a ribbon belt and chenille scarf to the girl. Since Kate loves her crocs, I tried to make shoes that look like them. 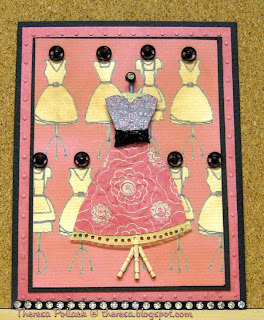 I sponged the edges of the image with pink and purple and added rhinestones in the corners. 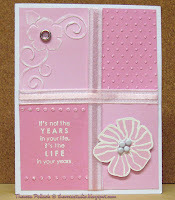 For the backgound, I embossed glossy white CS with CB's Happy Birthday folder that I inked with pink. Then I rubbed the embossing with a purple ink pad. 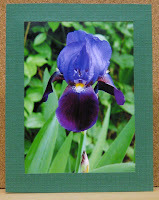 I attached this to a mat of purple CS and attached a polka dot wired ribbon to the bottom of the mat. I added more bling to the embossed CS. I printed the inside and back of the white CS (see pictures) with the computer and assembled the card. What girl her age does not love pinks and purples? I know that Kate does! 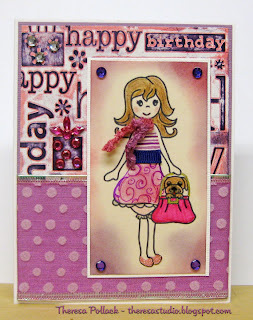 This week Gina K demonstrated the spotlighting technique on Stamp TV and her challenge was to make a card using this technique. Check out her video on STV. 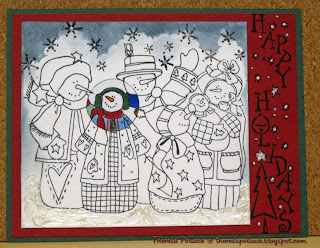 I made this card with a snowman stamp that I bought at a garage sale --never had been used---and I've been itching to use it for a project. I stamped it on a white CS and added some sky and clouds at the top and placed snow using stickles at the bottom and did some sponging too. I also stamped some snowflakes in the sky. I stamped another copy of the stamp and colored in the snowman or "snow woman" that I wanted to spotlight with markers and pencils. I cut her out with a circle cutter and edged the circle with a blue inkpad. I then attached the circle directly over the other image. 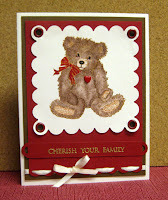 I placed this on a red mat stamped with a sentiment and put some hightlights on with stickles. This was attached to a green base card. 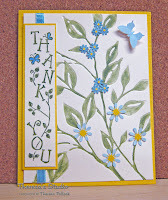 I made this card for Jessica's sketch challenge on Stamp TV. 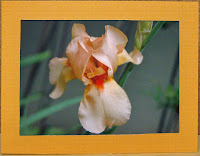 I started with a base card of orange and layered a mat of goldenrod. I layered 4 rectangles of striped DP---2 vertical and 2 horizontal. I cut a scalloped square of orange and yellow square with nestabilities. I sponged the square with pumpkin spice. 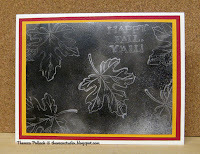 I stamped 2 leaves with Versamark and embossed . Cut out leaves and attached to squares. 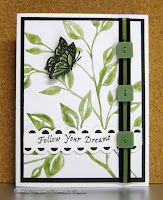 Stamped the sentiment and added 2 leaf brads. Assembled the card. 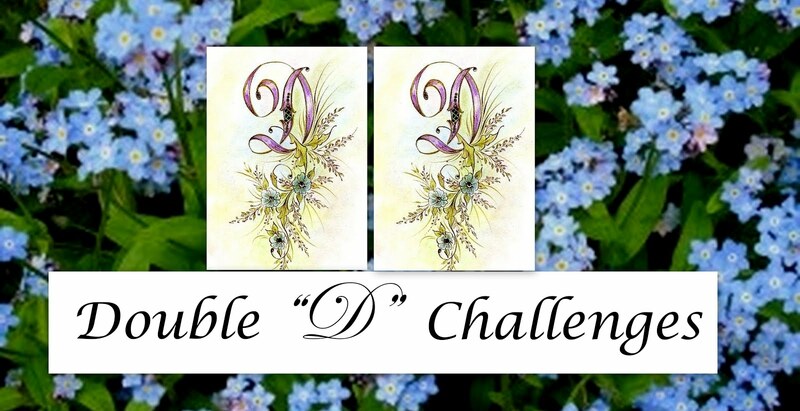 Lyn's STV challenge this week is to determine what item of clothing or accessories you can't get along with out and include an image of that on your project. I love to wear dresses but today's lifestyle does not present many opportunities to "dress up"...today, everyone dresses so casually. Added a string of rhinestones to bottom edge of card for some extra bling. Let's do lunch and dress up! I stamped the snowman on a circle of white CS with black ink and colored with markers and pencils. I sponged the sky with blue and added some stickles for snow. 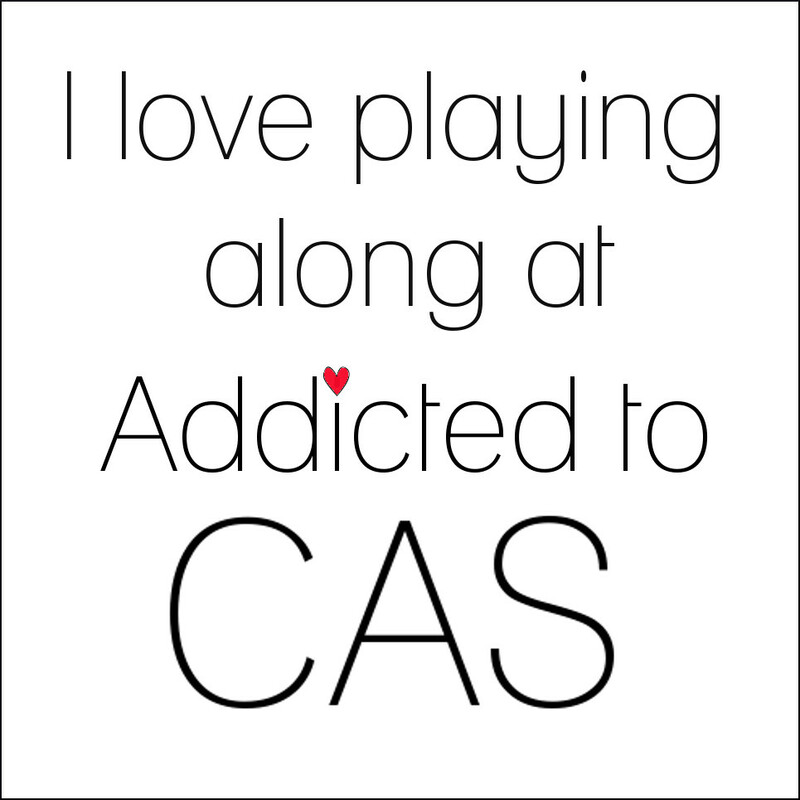 I placed this on mat of darker blue. 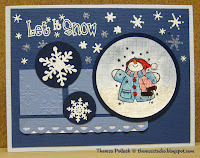 I cut dark blue mat 5.25" by 4" and stamped the sentiment and snowflakes with Versamark and heat embossed with White EP. I stamped other snowflakes with Brilliance Ink. On 2 small circles I stamped snowflakes again with Versamark and heat embossed with White EP. I cut 2 rectangles and dry embossed. I cut a strip and punched with a scallop border and place a white ribbon underneath. I assembled the elements following the sketch. See photo of inside to see the stamp I used. 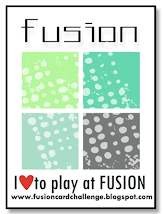 Thanks to Laura at Creative Vision for the great Blog Candy that I received this week from the Creative Clear Stamps Store. I won the "Let It Snow" stamp set when my name was drawn on Monday, Sept 21. And thanks to Linda for telling me about this store. 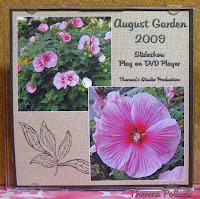 Please check out their blog http://creativeclearstamps.blogspot.com/ and their store http://www.creativeclearstamps.com/Let-It-Snow-p/cv0074.htm to see what I won. I can't wait to use my new holiday stamps. For the STV Color challenge this week, Nina chose any shade of Red (Rocket Red, Bravo Burgundy or Rose Red, or pinks), Soft Sand (or Kraft), Chocolate Kiss and Cream or White. 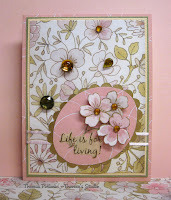 I used a layout Crazy 4 Challenges.This is for C4C3 Challenge. 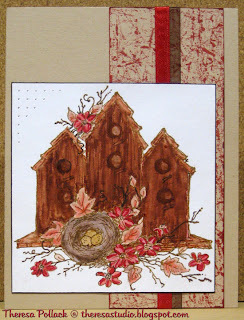 I stamped a Bird House stamp with brown on white CS and colored with various shades of red and browns. I versamarked the eggs and heat embossed but it does not show in the photo. 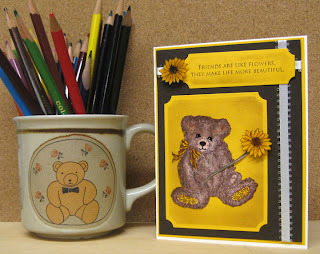 Did some piercing in the corner and edged the card with brown. I colored some kraft CS by using the marble technique using ruby red reinker. 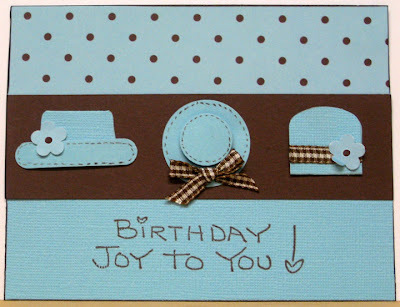 Cut a strip and added ribbons and attached to base card of Kraft CS. Attached my finished image on top. 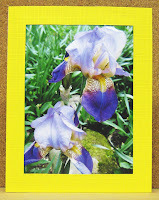 Lee's challenge was to use One Color + One Nuetral Color in a card. I do not know why I chose pink but this is what I came up with. Used 4 panels in 2 shades of pink CS. 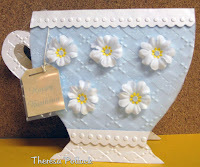 In one I embossed a flower with a Sizzix folder and sanded to bring out some white. In another panel, I embossed with CB Swiss Dots, one of my faves. In lower left corner, I stamped a sentiment and heat embossed with white EP and embossed and sanded rows of dots with CB border. 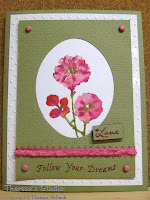 On last panel I added a flower that I stamped with versamark and embossed with the white EP. I cut out flower and added white brads to center and mounted on the panel with dimensionals. Added a bit of bling to the other flower with a pink brad. Added ribbons...first white grosgrain one and then layered with pink organza ribbon with a stripe. Ribbon looks a little crooked in photo but not in real like. Attached to a white base card. This morning while we were having coffee and sweet rolls, which my DH had made, he challenged me if I could make a card inspired by our napkins. 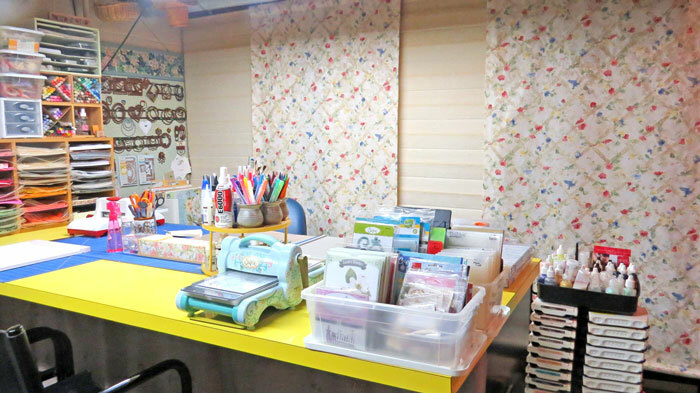 The napkin is pictured on the wood easel in the picture above. This is what I came up with while I had another cup or two of coffee. First, I stamped a butterfly with black and masked it. I stamped the sunflower with pumpkin spice and stamped the stem and leaves with green with the sunflower masked. I colored all with markers and pencils. 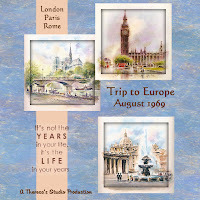 Then I covered the images with versamark using the versamark pen and heat embossed with clear EP. I cut image with a square nestabilities and sponged all over with pumpkin spice while in the nestabilities frame. 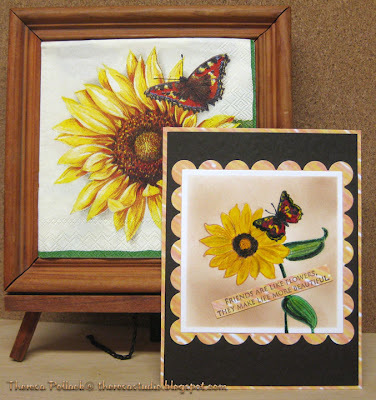 I attached this to a scalloped mat of Gina K's Sunlit Summer DP, then a mat of dark brown and card base of the DP. 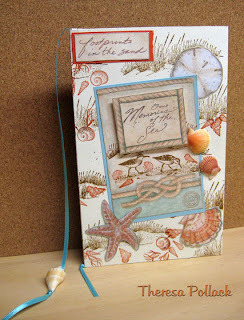 I stamped sentiment on a scrap of the Sunlit Summer DP and attached over the image. Enjoy a coffee break today! decided to do another Christmas card using it. 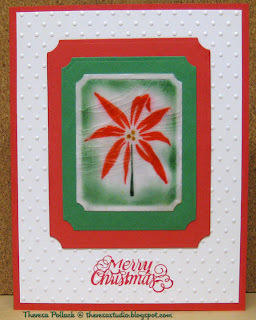 I stamped a poinsettia on white CS cut with nestabilities and sponged the edges. After cracking the "glass", I matted on green and red CS also cut with nestabilities. Matted this on white glossy CS embossed with CB Swiss Dots. Stamped Merry Christmas. Attached to base card of red CS. 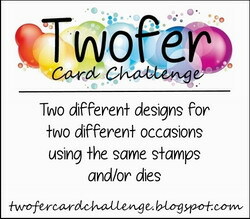 This is my card for Charlene's sketch challenge for STV this week. I turned the sketch to make a horizontal card so I could used the verse from the stamp set I won from GinaK last week. This was very difficult to photograph since I used gold vellum and printed the digital paper on glossy paper...lot of reflection going on. I began with dark brown CS as the base card. I cut 3 circles from gold vellum and stamped the leaves with brown ink. After letting dry overnight, I colored leaves with pencils and sponged the larger circle with pumpkin spice. Attached circles to brown CS circles. I cut all circles with Fiskars circle cutter. 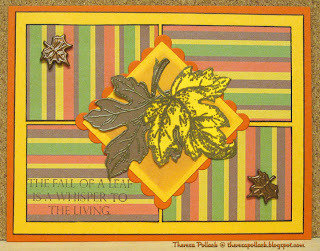 On gold vellum cut 5.25" by 4", I stamped the sentiment in upper corner and a row of acorns across the bottom. Again this had to dry awhile. Attached vellum mat to brown base. Attached the strip of digital paper and then the 3 circles. Raised the center circle with dimensionals. Hope you can see details in the photo. This week, Gina K showed a technique for making a cracked glass look. Check StampTV for her video. 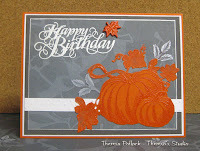 I chose a pumpkin stamp which I inked with orange and green and stamped on a square of ivory CS. I colored with pencils and OMS. 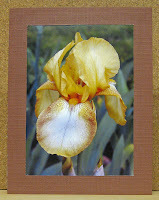 After completing the cracked glass technique and aging by sponging with brown ink, I framed my image with brown CS and placed it on a mat of grass cloth wallpaper scrap. My DH says I never throw anything away.... scrap was from a room I wall-papered 30 years ago. 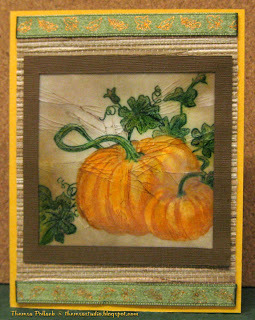 I added ribbon from my stash---green ribbon with orange leaves...does not show up very good in photo. Used goldenrod CS as my base card. 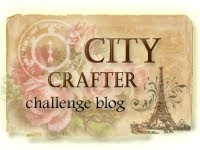 I almost gave up finding an idea for Shelly's Sketch challenge this week. I finally asked my DH to help me come up with something. Of course I had to first explain to him what was a sketch challenge. But he did help and got me thinking about a Christmas card and then he helped me to pick out the stamps to use. I had drawn a rough outline so he could see what the size would be. I then remembered this handmade paper I had bought at a garage sale and then found this patterned CS I had made when I was playing with my marbles making backgrounds. (See Gina K's video so you will know I have not really "lost my marbles"). 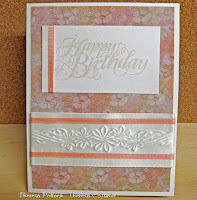 I stamped the sentiment with Versamark onto a white CS square and embossed with gold EP. I colored the flowers and berries with a red marker. I cut 2 small circles and cut in half and colored with gold marker. Attached these half circles to back of square to make the design in sketch. Added cord across mat and attached the square with dimensionals because of thickness of cord. 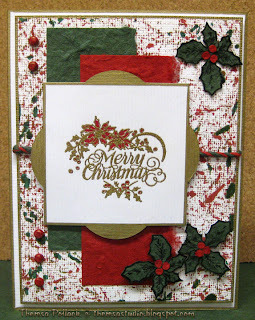 I stamped holly leaves with black ink on the scraps of green handmade paper and glued on berries punched from the red handmade paper scraps. My surprise was how great the holly came out. Attached bottom holly with dimensionals. I added brads ...did not have red ones so painted white ones with Sharpie. Used white CS as my base. Also edged this with gold. Attached top layer with dimensionals again because of cord. Gave the whole card a 3D look. Thanks to my DH for giving me inspiration when I needed it. Al is a great photographer and makes a lot of pictures of our garden. I enjoy making cards using his photographs. 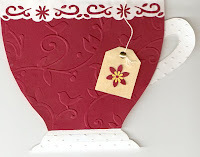 I have been working on making sets of cards which make great items for holiday gifts and hostess gifts. 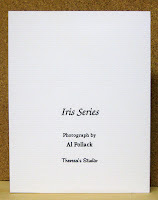 This set is the Iris Series.I have added adhesive cardstock mats in which I cut out a window and attach over the photo and then attach onto the base card. Very simple card but does take a little time to line it up exactly. I used a textured white card stock for the base and left it blank so the cards can be for any purpose. Colored CS is from DCWV Matstack. I printed the back with the computer as shown to the left. I pack 4-5 cards with envelopes in a clear plastic box. This week at StampTV, Lee's color challenge is to use Autumn Colors of orange, green, and yellow. 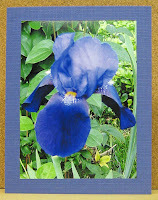 My card is made by using nestibilities squares and just inking and stamping. No embossing or coloring involved. Even used adhesive backed yellow CS. 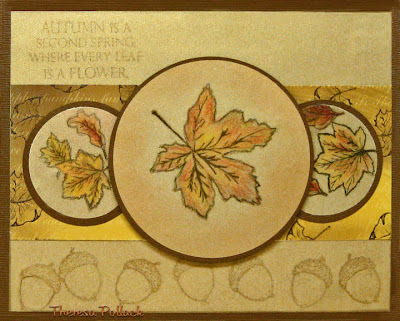 I wanted to use one of the new digital papers from Theresa Momber's "All About Autumn" pack that I just purchased. I selected the Apple Diamonds DP and used it for the top layer. 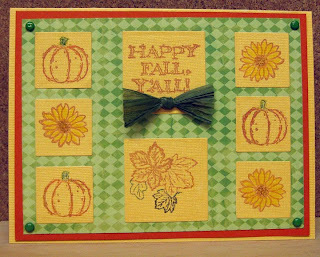 On 1" squares of yellow CS, I stamped pumpkins and sunflowers. On larger 1.5" squares, I stamped the sentiment and leaves. I arranged and attached the squares on the green paper. I placed this on an orange CS mat and used yellow CS as the base . I finished with a raffia bow and green brads. Used markers to add other color to sunflowers and leaves. This week's Potluck Challenge involves adding one or more elements beyond the boundaries of your card base. You can go over the top like a tent topper, off the sides, and feel free to play with the card shape as well if that fits your theme. This is my design for "Outside the Lines". I made a slit in one of the grids of this card and slid in a matching bookmark that goes over the top. Trimmed the grid so the finished card is 5" hi by 3 7/8" wide ...fits in envelope. Bookmark measures 5.25" hi by 2" wide and is laminated with Xyron. Top photo shows the bookmark out of the card..."a gift with card". Both the card and bookmark are stamped on Confetti CS with a green CS mat. 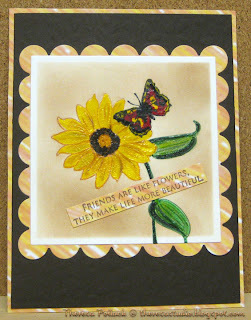 Stamps: Gina K: Melanie's Inspiration Mosaic for mosaic, dots, and sentiments. Gina K Elegant Flowers for the gold flower. 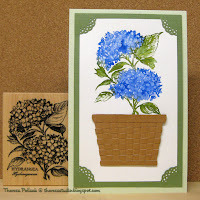 Hero Art bluebonnet stamp for the other flower. Inks: Pumpkin Spice, Hint of Pesto, Eggplant, and Jumbo Java (Versamagic Chalk Inks). 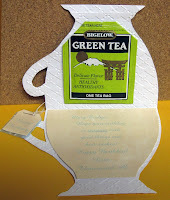 Green ribbon on the punched bookmark is the finish. Footnote added 9-11-09: My name was drawn as the winner of this challenge. I was thrilled to win a Gina K stamp set. Chose Melanie's " A Year of Leaves"